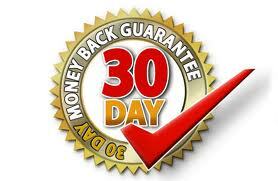 Each of our hosting plans carries a 30 day money back guarantee. If you are not completely satisfied with our services within the first 30 days of your contract, you will be given a full refund of the contract amount excluding mandatory setup fees (if any), and applicable domain registration fees. If you are on a monthly price plan and are past your initial 30 days of service, there are no credits due. If you choose a yearly price plan and cancel your service after 30 days, you will receive a pro-rated credit for the service unused less a $55 account cancellation fee. If balance does not exceed $55.00 then there will no refund given. Note: This policy does not apply to dedicated servers, any additional services such as shopping carts, dedicated servers, any 3rd party software or modules, data transfer overages, additional disk space, additional pop accounts, web design, secure server certificates, web promotion, web managing, domain registration, suspended site fees, set up fees, late fees or reinstatement fees, etc. Any account cancellation must be submitted by logging into your account and fill our the cancellation request form. If the contact email addresses are no longer active a signed letter requesting cancellation mailed will be accepted. Phone requests will not constitute acceptance of any cancellation. If accounts are left unpaid owners will be subject to reoccurring hosting fees plus any collection costs. All dedicated servers are required to have a full 60 days notice before cancellation.